A new company called Swarm Corp is launching a decentralized crowdfunding platform that will allow companies to sell cryptographic shares easily and quickly by creating their own digital currencies. Swarm’s COO Ben Ingram described the platform as “the Facebook of crowdfunding”. Powered by the Counterparty protocol, it effectively operates like a social network for cryptocurrency investors. As well as helping entrepreneurs kickstart their financial product or service, Swarm aims to eliminate previous failures and scammers by performing crowdsourced due diligence on each entrepreneur or team. The company’s CEO Joel Dietz envisages that the best initial use case is in accelerating startups, and Ingram indicated that there are already plans for a Swarm incubator based in London. To raise initial capital, Swarm will be issuing its own cryptocurrency, swarmcoin, starting with a crowdsale on 17th June, which will entitle investors to a portion of the coins launched on the company’s platform in future. Following David Johnston’s strict approach to BitAngel investing, which demands that both investments and subsequent returns are made in bitcoin, Dietz plans to raise capital for his first round using only the digital currency – a process which he described colourfully as “eating our own dogfood”. “Swarm brings a high level of ability and experience to the first real crowdfunding platform, with a senior engineer previously with Microsoft and Linkedin, a Salesforce MVP, alumni from Loyola, Brown, Harvard and Penn State, and an accomplished user-interface and design specialist. For those in the know, Counterparty is akin to the mastercoin protocol and leverages the bitcoin block chain to offer services – much like a decentralized exchange for tokens, assets, smart property and potentially, shares, stocks and bonds. Where the mastercoin and Counterparty protocols apparently differ is in their governance and issuance structure. Swarm relies on the ‘Vennd’ function of XCP, which has in turn become it’s own separate entity that is due to launch soon. So, the company capitalises and magnifies the use of bitcoin technology, taking advantage of the new swarm-like models of information distribution engendered by decentralised network behaviour. Does this new form of venture capital fundraising really apply to everyone, however? For example, does a product like Oculus Rift belong on the platform as Dietz’ implies? 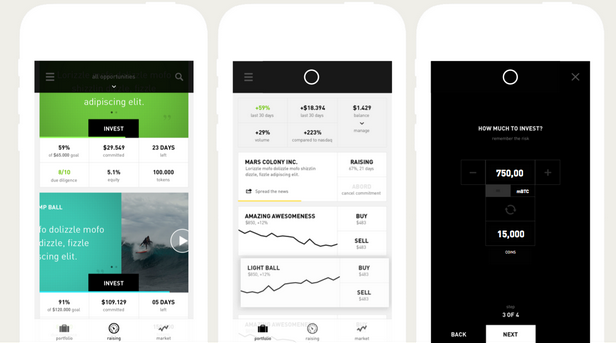 Dietz explained that he wants to build an app that is “as easy to use as Tinder”, where you can flick between ‘crypto-share offerings’ in a multitude of markets, select the ones you like and buy shares quickly and easily without the hassle of dealing with stockbrokers. In light of Erik Vorhees’ recent rap on the knuckles by the SEC, there is concern over the legality of making equity offerings in crypto companies, as regulators can levy fines retroactively to punish those they consider to have breached the rules. This is despite the fact that purely crypto-based companies don’t need to hold bank accounts and, if handled properly, can reasonably be expected to operate outside of existing regulation in perpetuity. He further explained that Skype did not ask permission from existing Telecoms regulators to operate, because they weren’t a telecom and never claimed to be one. 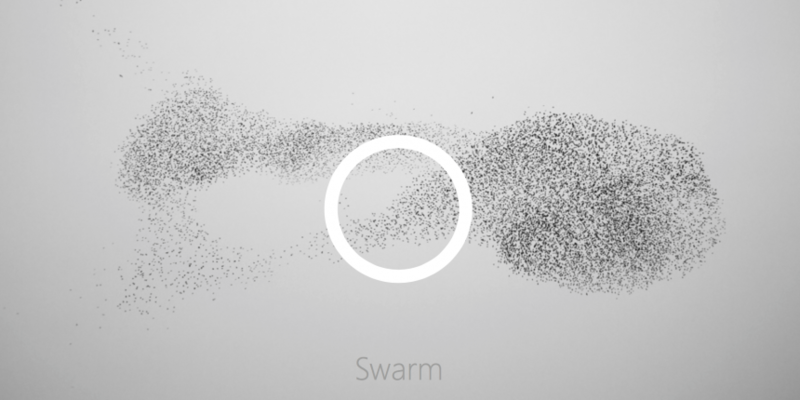 Could Swarm be the Tinder of crowdfunding? With this mixture of talent and features, Swarm seems very promising, but the UK Digital Currency Association’s Simon Dixon pointed out that regulations surrounding equity crowdfunding exist largely to protect consumers. Investors should always do their own due diligence, however, he said, and with criticisms and controversy still raging around the recent record-breaking crowdsale of MaidSafe on the mastercoin platform, angel pioneers and crypto-cowboys alike are asking hard questions of themselves and their industry. Investor David Johnston is bullish about Swarm, calling it “the future of the next generation crowdsales” and the Swarm team has been careful to take note of that lessons learned from the MaidSafe experience.